The fuel pump relay is activated whenever the ignition is turned on. A fuel pump relay functions primarily to maintain a consistent voltage supply to the fuel pump. The ignition or powertrain control module usually controls the fuel pump relay. When switched on the fuel pump relay will provide current to the fuel pump so that it may function. The fuel pump relay controls power to the fuel pump, So, any faults with it can cause fuel pump issues. One particularly important part of the engine fuel delivery assembly, is the fuel pump relay. It is part of the control system of a fuel pump and its failure can lead to start up problems. If the fuel pump relay fails, the engine management system records this event. 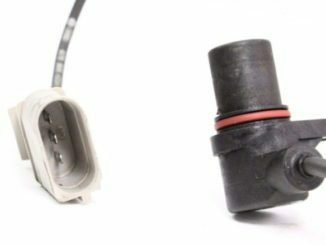 A fuel pressure sensor lets the computer know if the fuel pressure has not created any pressure during cranking operation. Usually a bad or failing fuel pump relay will produce a few symptoms that can alert the driver of issues. One of the first symptoms of an issue with the fuel pump relay is an engine that suddenly stalls. 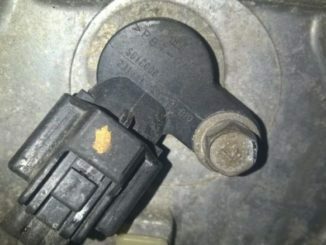 If the fuel pump relay has an issue it will cut off power to the fuel pump. 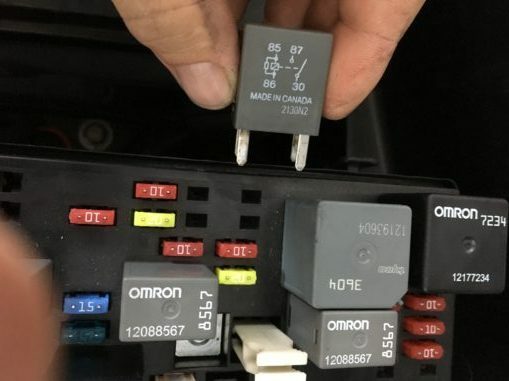 When a relay overheats the electrical contacts inside the relay can short circuit causing the electrical flow to stop. Alternately, when the relay contacts cool it will resume the flow of electricity. A faulty fuel pump relay can often prevent starting. Consequently, This is only one of many other problems that may be at fault. No noise from the fuel pump when the key is switched on. Most fuel pumps will produce a low volume hum when turned on. So, If the fuel pump relay fails, it will cut power to the fuel pump which will render it inoperable. 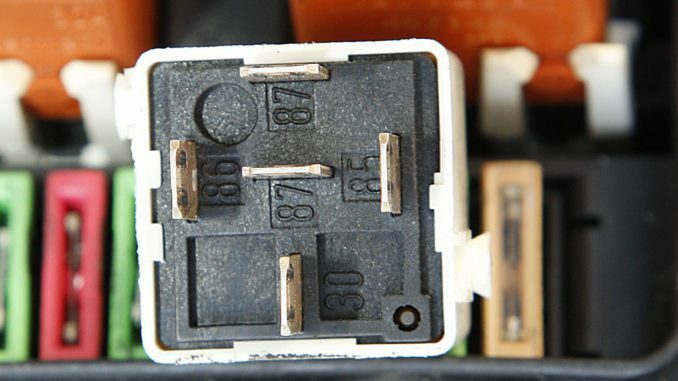 Pull out the relay and visually inspect the terminals and socket for signs of corrosion and overheating. Consequently, Corrosion prevents proper current flow, and overheating indicates problems with the relay or circuits it connects to. Clean corroded terminals and socket with electrical contact cleaner. Next Check all fuses before any repairs. So, Testing the relay of a fuel pump is relatively simple, as it does not have many parts. The most common parts to burn out or break include the contact and the coil. When either of these begin failing, the current to the electrical circuit will be also fail. This means your fuel pump will cease to function properly. The easiest way to test a suspect fuel pump relay is to swap the suspect relay with a good one. 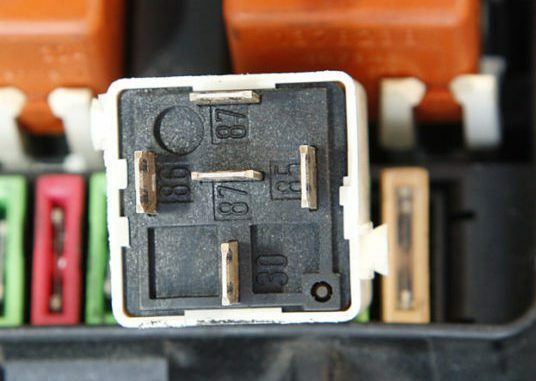 You may find another relay in your car with the same configuration as your fuel pump relay. Just make sure the other relay has the same configuration. Remove the suspect relay and install the good relay and check if your engine fires up. If it does, install a new relay. Otherwise, the problem lies somewhere else. So, A relay should be considered as two separate halves. The primary side which utilizes an electromagnet to close the secondary electrical circuit. Consequently, This electromagnet is activated by a simple power (+) and ground (-) much like a light bulb circuit. The second half of the relay is the “switch” that controls power to a particular accessory like a fuel pump. Terminals 86 and 85 are the primary side of the relay. It utilizes an electromagnet to close (connect) the secondary electrical circuit inside the relay. As a result, This electromagnet is activated by a simple power (+) and ground (-) much like a light bulb circuit. 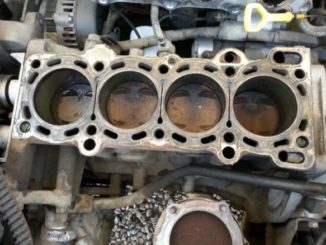 “Note, This may also go to a oil pressure switch”. Terminals 87 and 30 are the secondary side of the relay. Consequently, It acts as the “switch” that connects electrical current from one terminal to the other. Use Jumper wires to supply 12v power to terminals 86 and 85. Use a test light on terminals 87 and 30 to see if you have power. If the test light goes on the the problem lies somewhere else. A fuel pump is a powerful component and it demands plenty of current from the car’s 12-volts power system. However, if the fuel pump receives too much current at once, the delicate wiring could become too hot.